Management consulting firm Bain & Company "didn’t prostitute" themselves in their work for the SA Revenue Service (SARS), Vittorio Massone, managing partner of Bain’s local office, told City Press this week. “We didn’t prostitute ourselves – we weren’t there just to rubber-stamp the client’s decisions,” Massone said. However, Massone did concede that Bain could have been “used” by SARS. Massone said that there was “no script for us. Our business relies on success stories. So, for us, this is already a massive failure”. He said that Bain wasn’t going to become a scapegoat for what had happened at SARS. “We never saw integrity as an issue [while working at SARS]. We saw no red lights,” he said. Steinberg said during the inquiry that Bain must have been aware of the context at the time the company took on work at SARS in 2015, for example, reports of a “rogue unit” and the suspension of the entire SARS executive committee by then SARS commissioner Tom Moyane while people were being forced out of the entity. Massone said that it was a “mistake” for Bain not to have been aware of the context at SARS when it applied to do the work. “There is a long list of things we need to rethink,” he added. 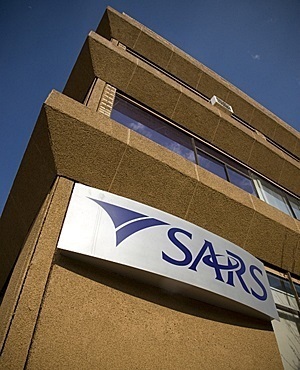 Steinberg said that there were irregularities in the way SARS had issued Bain with the initial tender, which was for work regarding the diagnosis of SARS’ problems and was costed at R2.38 million, which was 50% below its initial tender. Massone said this was “normal commercial practice to enter a new client”. Ultimately, Bain earned R187 million – R164 million excluding VAT. Steinberg said this was “highly irregular”. Bain worked for SARS on and off from January 2015 to March last year. Bain based its operating model options on 33 face-to-face interviews of people as well as 184 online surveys of people all hand selected by Moyane. Massone conceded at the SARS Inquiry that Bain "didn’t interview all the right people". Bain came under fire at the SARS Inquiry, for the quality of its interviews and for not questioning why Moyane limited interviews and surveys to only his handpicked group. Massone said that the 33 interviews had been completed in six days. Bain only had records of 12 of those interviews, he added. Massone conceded at the inquiry that Bain should have had "proper interviews" before changing the SARS structure. In implementing the new operating model, SARS didn’t follow proper process to ease the changes, which could be a shock to the people, Massone said. “This was bad,” he added. Massone said during the interview that Bain was qualified to work on the SARS business because it had advised other revenue collection agencies. However, under cross examination at the SARS Inquiry Massone’s apparent lack of knowledge of the local tax collector and its history as well as the work Bain actually did for SARS was exposed. Massone struggled to give direct answers to questions. He was also floored by certain questions and all he could say was "can’t answer that question".